Are you wondering why the US Government requires immigrants to secure a social security card or number? Social Security Number is very important in getting a job, acquiring social security benefits and in receiving some other government services. The Social Security Number is a 9 digit number assigned to individuals by the US government to trace how much income and benefits every US residents are receiving. This prevents the US residents from evading taxes, and allows the government to ensure that no immigrant will become a burden to the government benefits system. 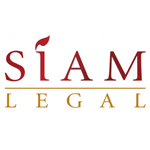 A Thai fiancee is allowed to apply for a social security card immediately upon arrival in the US. While on the other hand, a US fiance will have a social security card on his possession with his Thai fiancee’s social security number on it. The alternative way to apply for a social security card is when you submit “Form DS-230 Application for Immigrant Visa and Alien Registration” to the designated US Embassy. Make sure to answer “yes” in questions 33a and as well as 33b in Form DS-230. Once the US Embassy have forwarded the information to the Department of Homeland Security (DHS), and once you got admitted to the US, the DHS will then send your Social Security Card to your mailing address. Proof of age and eligibilities to work. Once all the documentations are verified, the social security card and the number will be mailed to your US mailing address. What Visa Should I Use to Reunite with My Spouse in the US? Ever thought of becoming a US citizen?